Alan Puckett's homage to legend Mike Hailwood. There are many of us who believe that the motorcycle is a work of art; a uniquely beautiful style of sculpture; an object whose function has dictated its form and in doing so created something visually divine. This opinion was recently shared by New York’s Solomon R. Guggenheim Museum. In 1998, the landmark gallery staged an exhibition called ‘The Art of the Motorcycle’, which came as quite a shock from an institution better known for exhibiting the likes of Cezanne, Kandinsky, Matisse and Picasso. Culture vultures shuddered at the prospect. We can add even more to the Guggenheim’s justification for putting on ‘The Art of the Motorcycle’, beginning with contemporary culture. Consider the amazing variety of lifestyles centred around the motorcycle, from the ‘outlaw bikie’ to the ‘boy racer’, the ‘off-roadies’ to the lawyers and brain surgeons and businessmen who ride with the Ulysses mob or the Harley Owners’ Group. Then there are the vintage and classic enthusiasts! Motorcycle sport also has a huge cultural presence and impact. Events such as road racing, motocross, trials, enduros, supercross, speedway, flat track, hill climbs, rallies, ice-racing and cross-country are followed, televised and written about . Hundreds of thousands of people participate and hundreds of millions spectate. Clothing requirements demanded by motorcycling also developed into lifestyle and fashion garments, most notably the so-called ‘Brando’ jacket, as worn in the iconic film, ‘The Wild One’. As it happens, art is a very subject difficult to write about. If the subject is a motorcycle, one can talk about ‘the poetry of levers, wheels and wings of steel; the iron cry of movements’ but it doesn’t really get you far. In trying to evoke the image, the writer is simply applying a personal interpretation or explanation to something that expressly exists so that you don’t have to interpret or explain it. Alan Puckett’s motorcycle art doesn’t need much explaining. There’s nothing esoteric, enigmatic or mysterious about it. It contains no ambiguity or hidden meaning. He represents his subject with wonderful clarity and then adds a dimension of intensity and emotion that elevates it from illustration to art. Alan Puckett’s journey to this point in his career has been pretty much a dream run, including his participation in the 2nd World War. Born in North Carolina, U.S.A., in 1922, he served as a soldier in the Pacific Campaign, including the battle for Bougainville and the liberation of the Philippines. 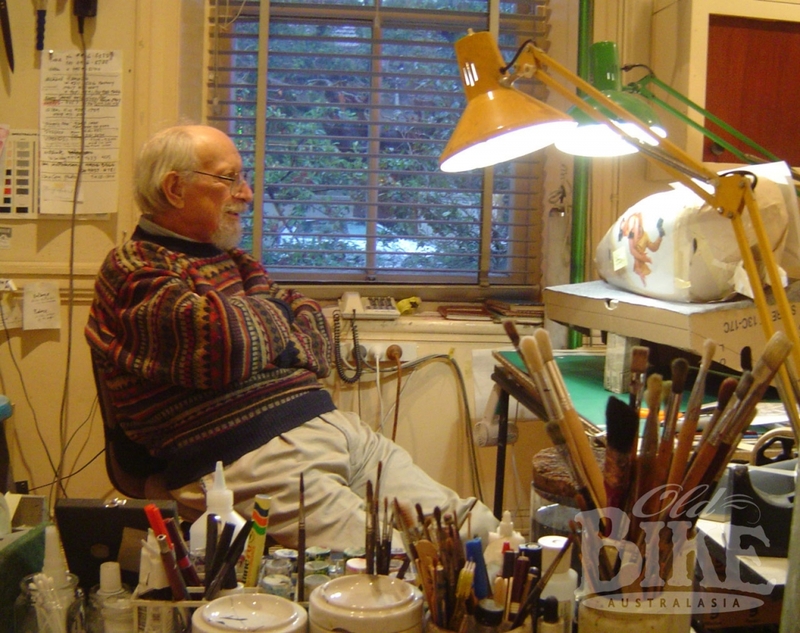 Always interested in drawing and painting, Alan had majored in art at high school, and a portfolio of portraits and sketches he’d made during his time in the Pacific gained him entry, via the famous G.I. Bill, (the reward for his service and survival), to the prestigious Art Faculty at Yale University. However, the desire to work saw Alan leave Yale after two years and take up a position with the design studio at Otis Elevators in New York City. The main task was producing cutaway representations of lift interiors, something that photography could not satisfactorily achieve. It was here that Alan learned to use the airbrush, that difficult and demanding tool which he subsequently mastered to great effect. 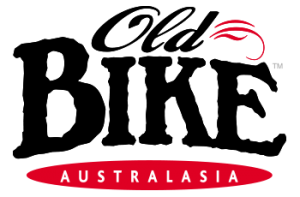 He quickly realised that the Otis job was a dead end but a chance meeting with an Otis engineer from Sydney led to Alan’s work being shown to the head of the J. Walter Thompson advertising agency in Australia. With the promise of employment, Alan and his wife took the big step and headed Down Under. In those days, the major medium for prestige advertisers was the Australian Women’s Weekly but its colour gravure printing process used sepia rather than black ink, which made true colour representation almost impossible. It was here that Alan came into his own, finding a way around this limitation with his artwork. For example, he’d start with a black and white photograph of an empty refrigerator with the door open, and would airbrush in the glowing interior light illuminating shelves laden with mouth-watering food and bottles of drink, with a mandatory Christmas ham as the focal point, and all in real colour, not the wishy-washy effect normally produced by colour gravure printing. Suddenly he was in great demand and began to make serious money as an illustrator and photo re-toucher, which enabled him to begin his love affair with four wheels. Typically, Puckett started his motoring career with a Singer Le Mans sports car from the late Thirties (as opposed to a new Austin A40). This was followed by an Aston Martin, then a Bentley, and on it went through a V8 Maserati, a Ferrari and several more Astons. Puckett’s propensity for very fast cars naturally progressed to his racing them and he was responsible for organising the first classic car race to be held at Sydney’s famous Warwick Farm, coming second in an Aston Martin. When the cognoscenti learned of Puckett’s ability to do wonderful paintings of cars, they commissioned portraits of their own beloved vehicles and so a whole new avenue of endeavour opened up for him. His picture of the Alvis and his series of stamps for Australia Post, both shown here, are testament to his ability. Puckett not only painted them, he decorated them. At one stage he used his rather conservative wife’s Ford Falcon Station wagon as a palette, painting a superb reproduction of Frank Frazetta’s ‘The Death Dealer’ right across the tailgate. This showed an ominous horn-helmeted warrior sitting on a massive black warhorse, his battleaxe dripping blood onto the glowing volcanic earth. In case that didn’t attract enough attention at the local shops in Sydney’s exclusive suburb of Hunter’s Hill, he added a blaze of nitro-methane flames down both front mudguards. His tank paintings were a constant source of delight. The most memorable was a rampant, full-grown bull elephant emerging from a shattered eggshell, with yolk and albumen going everywhere. Another was a large picture of a pig in a police uniform, painted onto a sidecar. The police often stopped the proud owner to look at the image, and always to their amusement. By now, Puckett had swapped his allegiance from cars to motorcycles. A crash helmet replaced the deerstalker, a fringed buckskin jacket usurped the tweed sports coat and his cavalry twill trousers and natty shoes were put aside in favour of denim and boots. 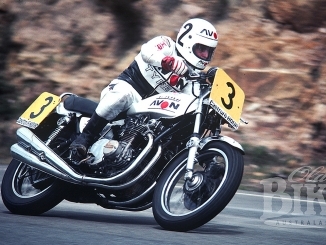 Despite being in his early Fifties, Alan then took up road racing. 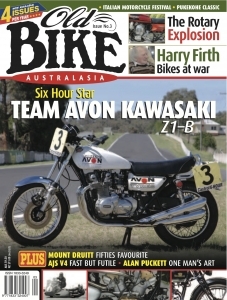 He shared a beautiful Matchless G50 with Old Bike Australasia editor Jim Scaysbrook and ended up as a fierce competitor on his Manx Norton, delighting the crowds at Amaroo and Oran Parks. Part of Alan’s participation in the Classic scene was to paint a portrait of (and for) the winner of the Ryan’s of Parramatta Classic Race, held for a number of years at Amaroo Park. The picture shown here is of the great Jack Ahearn, with blood running down his chin because he bit his tongue during the race (probably in an effort to slow himself down). Alan Puckett’s painting depicting Jack Ahearn at Amaroo Park in 1974. It was now obvious that Alan’s feeling for capturing the special beauty of motorcycles had emerged. At the insistence of his close friend, photographer Warren Penney, they embarked upon a book entitled, ‘Classic Motorbikes’. Warren took reference photos for Alan and captured the finite detail of thirty rare, precious and beautiful motorcycles in Australian collections. Puckett did the rest with his impeccable watercolour technique. It’s not perfection or photo-realism, it’s Alan’s interpretation, which allows him to bring forth the salient features of the machine, creating a heightened reality and a subtle extra dimension. With only two exceptions, all of the motorcycles in the book are painted from the timing case side. While not the most dramatic angle, it’s the best profile and gives the most complete view. The paintings re-produced from ‘Classic Motorbikes’ in this article are mainly of older bikes, because their spidery lines and functional, minimal styling, with the motor and tank holding centre stage, seem to best express the very essence of motorcycles and motorcycling. Puckett also delights in reflections caught in the paint or chrome of a highly polished machine. Observe the entire landscape in the tank and exhaust pipes of the Brough Superior. Of course, Puckett is hardly a pioneer in the representation of motorcycles, as the old pictures in this article show. Just as he had to struggle with the limitations of mass printing processes in his day, so did motorcycle manufacturing companies in their formative years. Colour photography or expensive photographic set-ups generally weren’t an option so they relied on artwork to represent their products. Some of the ads shown here are hardly conducive arguments to rush out and buy one but they depict motorcycling as a worthwhile pursuit: glamourous (Velocette catalogue), adventurous (the Indian ad), high-powered (the Rudge ad), utilitarian (the Motorcycles Comiot poster) and evocative (the wonderful Flying Merkel poster). This kind of art extended well into the Seventies and the Yamaha cutaway illustration is a very good example. Though much less sophisticated, the Honda ad uses artwork to create a memorable and successful effect. Artists also supplied exciting, idealised representations of motorcycling for books and magazines, as the ‘car & motorcycle’ or the ‘racing motorbikes’ pictures demonstrate. Curiously, motorcycles don’t seem to feature at all in fine art. The only notable one the writer can find is Tim Storrier’s ‘Suzy 350’. This painting won the prestigious Sulman Art Prize at the Art Galley of N.S.W. in 1968. Alan has never had an exhibition of his motoring art. 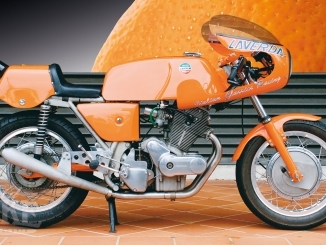 He either painted on commission or for projects like the ‘Classic Motorbikes’ book. Everything was pretty well pre-sold so there was no point. It’s a shame, really. A show of his work, including those motorcycles whose tanks he painted – and his wife’s shopping car – would be quite something. He also painted marvellous posters for motoring events such as the Adelaide Formula 1 Grand Prix and the Bathurst Easter Motorcycle Races (his 1978 poster featuring Warren Willing is a classic). 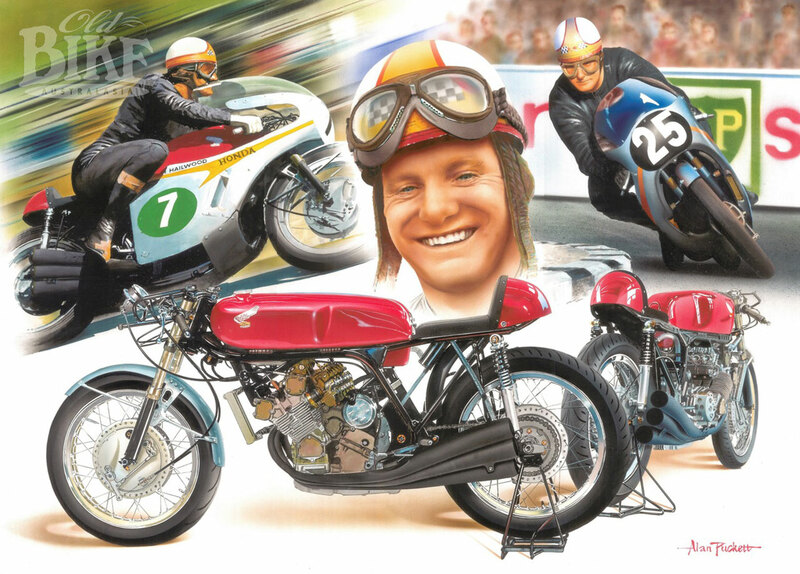 There are also some terrific one-offs like the Mike Hailwood Honda Six poster. Now in his 84th year, Alan continues to neglect the garden and the lawn. He’s upgraded his airbrush system from those large and cumbersome compressed-air cylinders to a high-tech. electric device and is currently painting a portrait of a very handsome old Ford Mustang in full flight. He recently completed what he calls ‘the Bettie project’ (perhaps ‘the Bottie project’ is more apt), in which a tightly bound young lady is being carried off by a space invader across the sides of a Harley-Davidson tank, Mauser machine pistol akimbo. It’s as good as anything he’s done, which is saying something. And when time permits, Puckett races his Mini Cooper S at Oran Park and Eastern Creek. Unfortunately, this beast doubles as their shopping car. He gave the writer a lift to his next assignment after the interview and kept saying things like, ‘that’s where the cops hide with their radar – nothing there now – it’s three Ks to the next speed camera so we can open it up along here’, and then accelerated with a terrifying surge of speed, weaving in and out of the concrete trucks and delivery vans, the stiff suspension and racing tyres compressing vertebra with gay abandon. Ah, well. 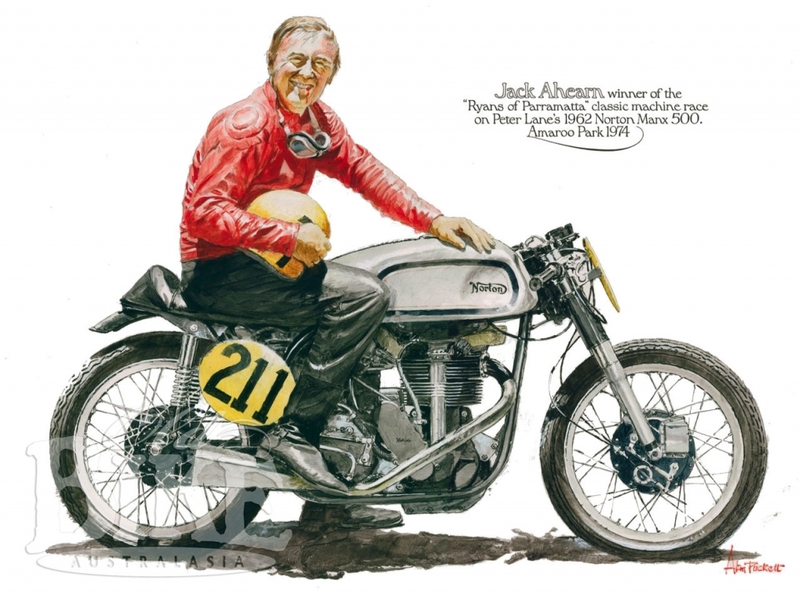 Artists are allowed to be eccentric, and while Alan Puckett is a unique character, he’s also a wonderful artist who has added something very special to ‘The Art of the Motorcycle’.